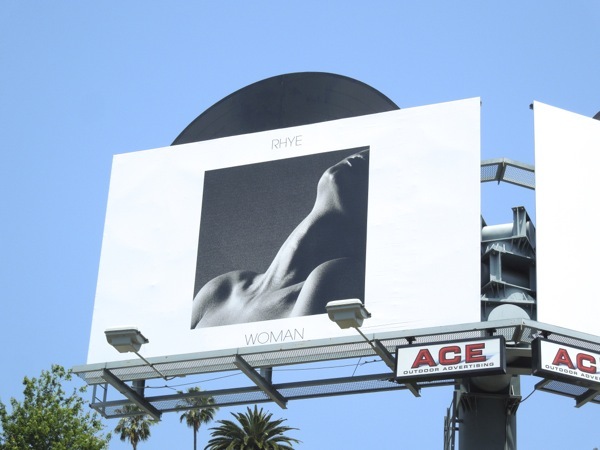 Daily Billboard has been wanting to feature this set of billboards for Rhye's debut album 'Woman' spotted along Sunset Boulevard for some time, and since they have now disappeared from the Strip, now seems to be a good a time as any. 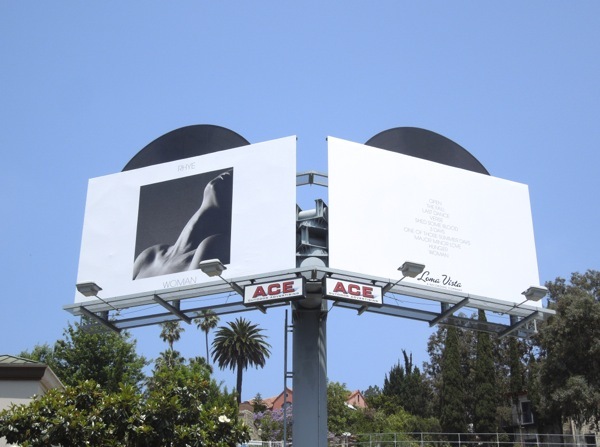 The California-based indie musical duo of Mike Milosh and Robin Hannibal, who hail from Canada and Denmark respectively, are Rhye and this their first smooth and soulful album was released earlier this year in March 2013 (drawing comparisons to the legendary soul singer Sade). 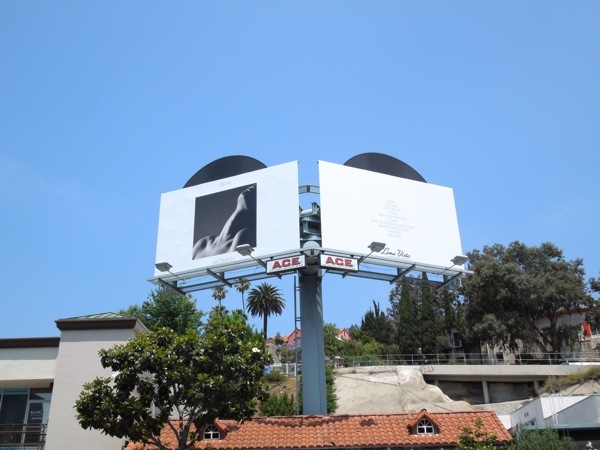 This duo of special extension ads snapped along Sunset Boulevard on June 8, 2013 are not especially flashy in design, but their eye-catching vinyl discs peeking over the tops of the billboards certainly convey the idea of music, which is often harder in this medium. 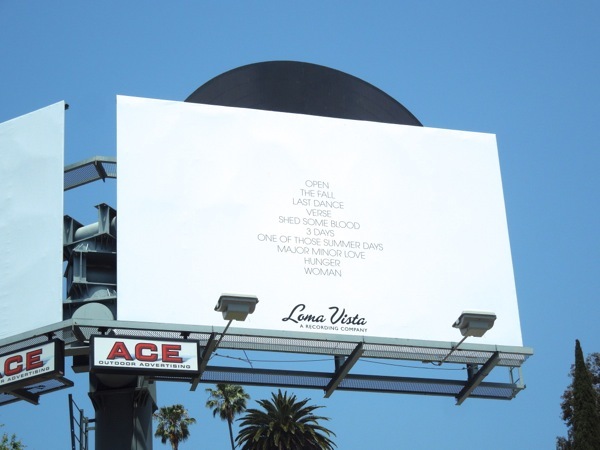 If you like these billboards, be sure to also check out more music and recording artist advertising here at Daily Billboard.